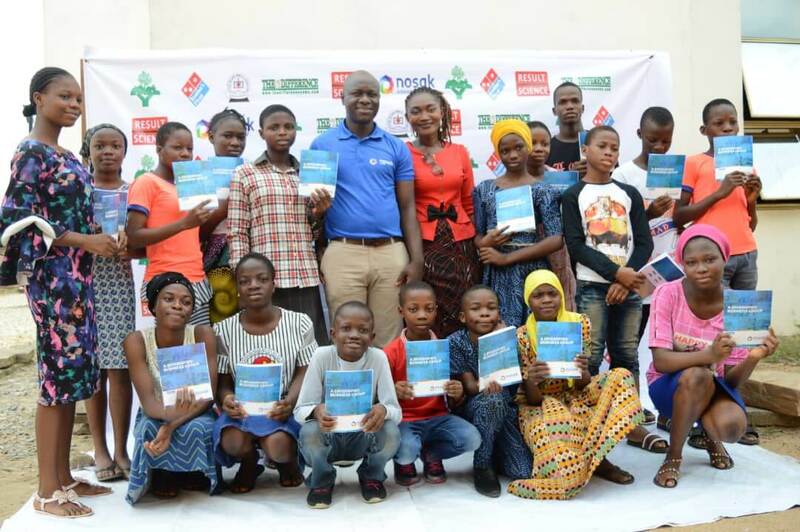 Nigeria’s diversified business, Nosak Group deepened its social development initiative by donating books to school children in Ketu area of Lagos at an event organized by Lead-Out Education Foundation, a Non-Governmental Organisation (NGO) to commemorate the 2019 World Book Day recently. The World Book Day is an annual event set aside to encourage everyone, particularly young people, to discover the pleasure of reading. As an organisation that places value in education, Nosak Group joined Lead-Out Education Foundation to drive home the theme of the occasion, “The Value for The Book” in a seminar to enlighten school children to value books and also encourage them to cultivate the habit of reading books. 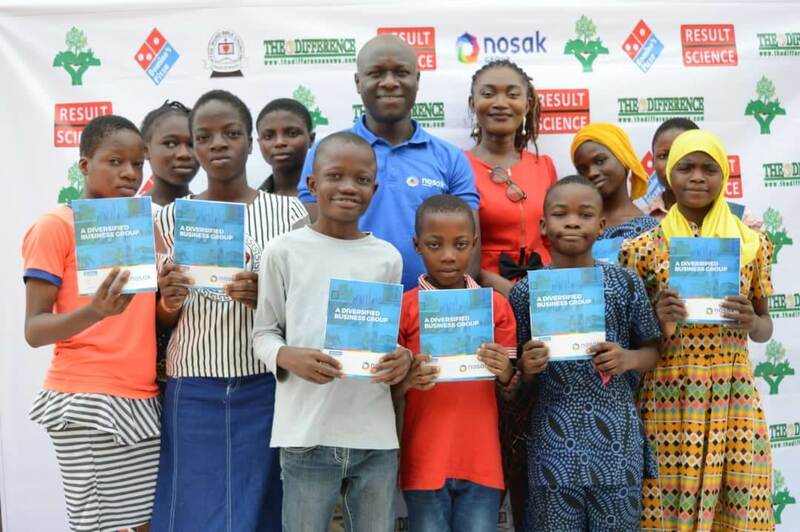 Speaking at the occasion, the Group Executive Director, Nosak Group, Osagie Ogunbor, who was represented by the Corporate Communications Manager, Nosak Group, Kenneth Adejumoh said the theme draws the attention of stakeholders especially school children on the need to hold books in high esteem. “Today’s event reaffirms the importance of books and why we should not lose focus in taking our studies very important. Every book you see, no matter the volume or the quality of production, remains an intellectual property and it is safe to say we should cultivate the habit of cherishing every book we come across”, he said. Adejumoh encouraged the children to be serious with their education by focusing on their studies as they are authors in their individual capacity. “Everyone child is an author; when you make notes of the various subjects you are taught, you are automatically the author of those notes which you will have to read, understand and then make excellent grades in your exams. The efforts you put in making those notes will make you value the books. This automatically shows that the value for the book is a path way to success”. In her welcome address, the Founder of Lead-Out Education Foundation, Irene Okon said, “We celebrate books and reading because books illuminate our mind, and books expose us to various subjects of life. That’s why we must not allow its relevance to fade away in this generation. Hence, we have gathered today to reaffirm the value for the book, as one of the goals we all share to revamp the dwindling reading culture”. She added that different studies have revealed that 40 per cent of Nigerian adults never finish reading a fiction book from cover to cover after leaving school. And there are other studies, which show that about 30 million Nigerians have graduated from secondary schools with poor reading skills, attributing it to the poor habit cultivated during their stay at school. Okon therefore called on the government and corporate organizations to support initiatives that will make reading of books become a lifestyle other than a criterion for passing exams. “This will help the younger generations to recognize the value of books”, she said.